Problems registering for the Member’s Area? 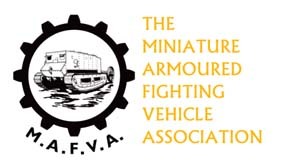 MAFVA exists to promote interest in AFVs and their associated equipment and to act as a non-profit making organisation for the collection and dissemination of information. We try to answer queries or seek sources of information for our fast growing international membership and to encourage correspondence between those with similar interests. We aim to provide MAFVA members with a bi-monthly magazine called Tankette . Local branches exist in the UK and overseas and are encouraged to hold meetings, displays and competitions to enable members to get more out of their hobby by meeting others with similar interests and to share information and expertise. Copyright © 2017 ThemeSphere. Powered by MAFVA. “Autumn” Competition – John Ham’s 1/76 Airfix Bergepanzer IV from the 50 year old Panzer IV kit.